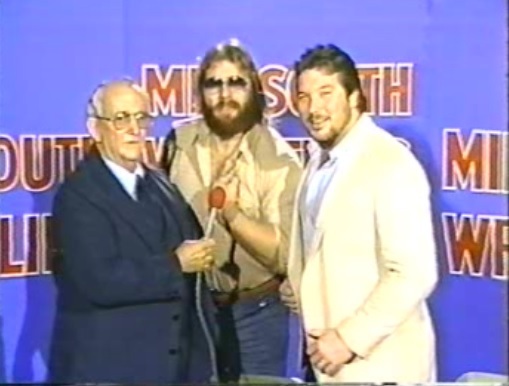 Mid-South Wrestling TV #163 October 23rd 1982 – Final Push for Big Loser Leaves Town Tag Title Match. 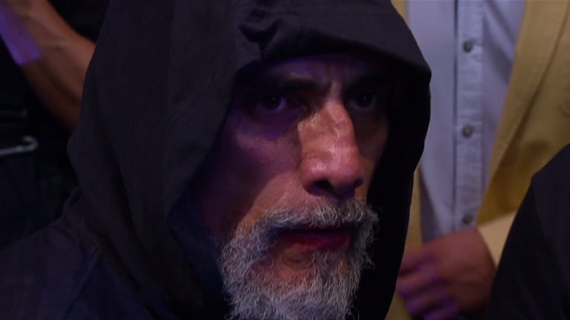 Boyd Pierce opened the show and ran down the card; Boyd also promised some exciting matches and “interesting” interviews. Bob Roop was back as our special guest colour commentator and he claimed he interrupted his vacation because the “hundred million people or-so” that watch Mid-South every week deserved to see one of their greatest ever former champions. Mr Wrestling II vs. “Hangman” Harris. – Wrestling II over in 4:13. Match was dull and plodding. Roop put Two over for his win over the Grappler last week and said he had never seen Two get flustered or “blown-up” during a match. Two did some Arm-Ringers and Roop pointed out that Two was grabbing Harris’ thumb to make him flip over, because Harris would have had his thumb broken if he didn’t go with the momentum. Two won with his famous Knee Lift and a nice bridging Belly-to-Back Suplex. Back with Boyd & Roop at the desk. 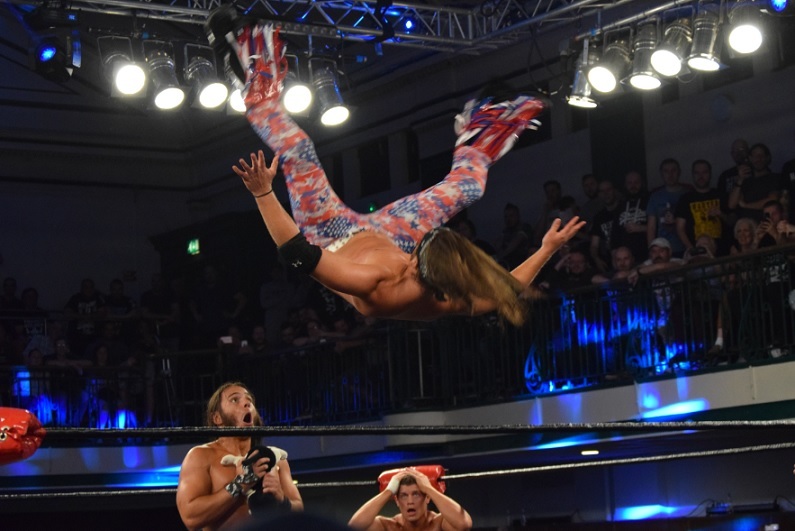 Boyd talked about “Hacksaw” Duggan beating “Iron” Mike Sharpe for the Louisiana Heavyweight title last week and they showed the finish of the match. Roop brought up that he knew what it was like to win a title and congratulated Duggan on behalf of the heels’ union. Ted DiBiase (North American Heavyweight Champion) & “Hacksaw” Duggan (Louisiana Heavyweight Champion) vs. Ted Allen & Marty Lunde. 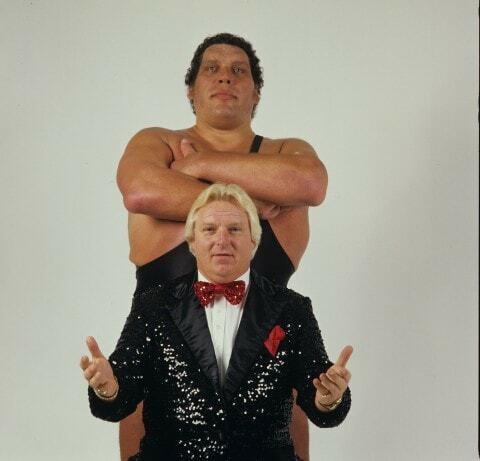 – DiBiase & Duggan over in 4:03. Boyd & Roop hyped the big Loser Leaves Mid-South Tag Title match next week with DiBiase & Duggan challenging JYD & Mr Olympia. Roop explained that it would be a No DQ match and the loser of the fall had to leave Mid-South for 60 days. Roop noted that all the champions were in the match and if any of the singles champs were to be pinned then they would also be stripped of their title because of the 30 day defence rule. 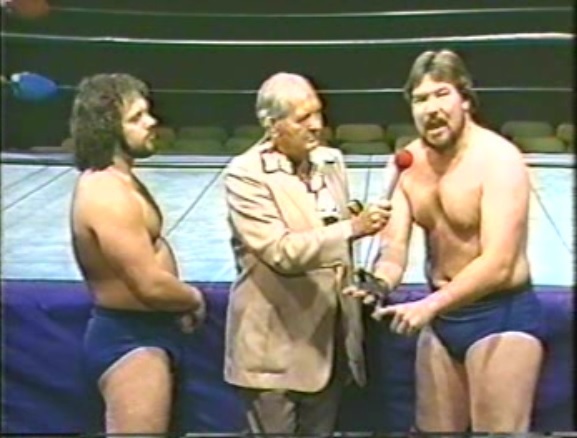 Match was a basic squash for DiBiase & Duggan, who worked over Allen & Lunde with ease. They didn’t take a single bump for the jobbers and got the win when Duggan pinned Lunde with his flying NFL headbutt. – Really effective stuff heading into the big Tag Title showdown next week, with DiBiase & Duggan looking like strong challengers. Just in case you are wondering, the full stipulations for the match next week are: No DQ, Loser of the Fall Must Leave Mid-South for 60 Days, Tag Team Championship Match. However, the added jeopardy comes with all the singles champions being in the match too. In addition to being suspended for 60 days, DiBiase (North American), Duggan (Louisiana) & Olympia (Mississippi) are all at danger of having their belts stripped if they get pinned next week. We’re coming up on one full year of covering the Mid-South TV product and the Tag Title match next week is certainly is one of the biggest things Watts & Co. have promoted on TV over the past 11 months. Kamala w/Friday vs. Bob Stabler. – Kamala over in 1:18. Usual Kamala squash; he slapped his belly and did some stomps and kicks. Kamala got the win with three big Splashes to the back. During Kamala’s pre-match ritual, Roop went on a tangent about the crowds in Houston had “doubled or tripled” in size since the Mid-South TV show started airing in that market. You hear that, Boesch? The good ol’ boys from Oklahoma saved your little Texas town! Non-Title Match: JYD & Mr Olympia (Mid-South Tag Tea Champions) vs. The Grapplers. – JYD & Olympia over in 4:23. Roop noted that JYD & Olympia had a tougher match with the Graps then what DiBiase & Duggan went through earlier. Faces shone early. Olympia took the Graps over with a nice Headlock/Head-Scissors combo. JYD cleaned house with some Headbutts, but Grappler #1 sent Olympia’s shoulder into the turnbuckle to start the heat. Graps made some frequent tags and worked over the shoulder. Grappler #2 missed an Elbow Drop and JYD ran wild off the hot tag on both heels. Finish saw all four men in the ring and JYD hit Grappler #2 with the Thump for the pin while Olympia fought off Grappler #1. – Good little TV match, with a bigger win for the champions than what the challengers pulled off earlier. As noted before, my beloved Grapplers are on their way out of the territory so it’s no surprise that they were used to get the champs over for their big defence next week. Vladic Smirnoff w/Skandor Akbar vs. Tim Horner. – Smirnoff over in 4:09. Boyd hyped the big Superdome Show on Thanksgiving Night and said their would be a lot of new talent coming in for the show, including, Mil Mascaras, Chavo Guerrero, Gino Hernandez & Tony Atlas. Match sucked; Smirnoff at least didn’t take a bump this week for his jobber. I Imagine Watts probably chewed him out for his weak showing in his debut. Smirnoff won with a Backbreaker that looked terrible. 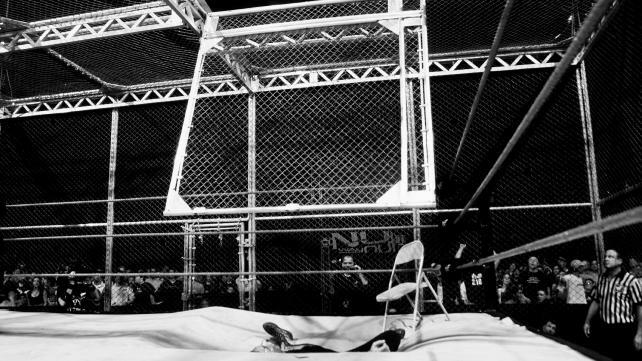 “Iron” Mike Sharpe vs. Vinnie Romeo. – Sharpe over in 2:23. Boyd talked about Bill Watts bringing 50 children from an orphanage in Laneville, TX next week as special guests. Roop said that was nice of Watts, but added that he wouldn’t do anything like that. Match was basically a deal to give Sharpe some heat back after losing the Louisiana title last week and he won easily with a big Lariat. Kelly Kiniski vs. Jesse Barr. – Kiniski over in 5:35. These young lads just went out and did some basic wrestling and had quite a good little match; nobody really cared though. Finish saw Kiniski win with a Flapjack that Barr took right on his head. Boyd gave a final hard sell for the big Tag Title match next week and noted that the entire hour of TV would be dedicated to the match. Roop said he might have to interrupt his vacation again just so he can watch next week. As the match went on, Roop noted that the pace was slowing down then told a preposterous story about wrestling a “400 pound” Russian in the Olympics. Roop claimed he was so tired that he had no option but to Suplex the 400 pounder and beat him. This of course never happened. Roop did actually compete for the US at the 1968 Summer Olympics in the Men’s Heavyweight Division at Greco-Roman Wrestling, and did in fact face the Russian, Anatoly Roshchin on October 25th 1968 in Mexico City. Roshchin certainly wasn’t 400lbs (more like 220lbs) and Roop didn’t beat him with a Suplex either, as Roshchin, who went on to win the Silver medal, downed Roop for the fall in 2:48. Still, it made for a nice story I suppose. Ted DiBiase & “Hacksaw” Duggan invaded the commentary position and DiBiase cut a great heel promo about the match next week. DiBiase said the fans had seen JYD or Mr Olympia for the last time and said there was no way that Mid-South could screw them out of the belts again. Duggan said they loved No DQ matches and DiBiase added that he would personally buy JYD or Olympia a set of luggage when the are sent packing. Boyd wrapped up the show and told everybody to tune in next week for the big showdown. There wasn’t much to this show at all really. It was all about hyping up the huge Tag Team title match next week. 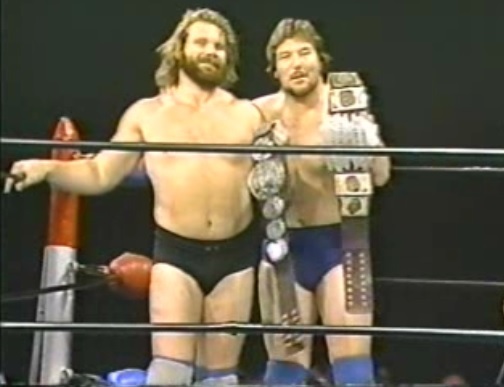 The challengers DiBiase & Duggan looked strong in a squash, while the champs had a tougher match against the Grapplers and looked even better. Pretty much everything else was forgettable and irrelevant, but by putting all their effort into selling one match it undoubtedly made it seem like a huge deal. 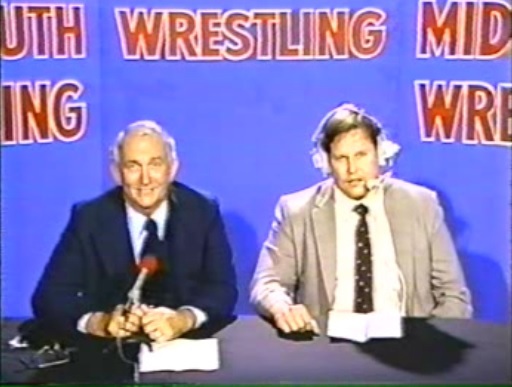 Mid-South Wrestling TV #162 October 16th 1982 – Huge Show, Superdome Build, Title Change, Champions Face-Off.